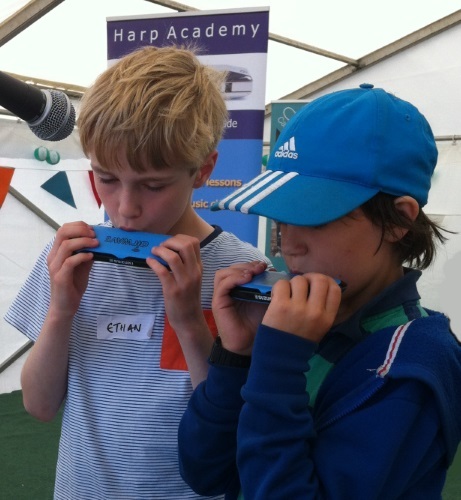 My son is not very confident, doesn’t like joining in group activities and is not massively musically gifted, and yet he really enjoys harmonica club and I have been so impressed with the tunes he has played for us. Thanks so much. My daughter loves her lessons and it’s such a joy to hear her wonderful playing. The harmonicas were the best part of the summer concert! I just wanted to let you know that we attended the school’s Easter performance at Church today. Megan, Bethany and Lilly did a fantastic job with their harmonica parts. I filmed it all to show them afterwards. It was brilliant! Thanks and have a lovely Easter. Thank you! My daughter tried your taster session this week and absolutely LOVED it. She is made up with the harmonica and has been playing it non-stop ever since. She had such a great time, so thank you for introducing her to learning music in such an excellent way!!! After a year of harmonica, Edith has decided that she’d like to try another club. She has really enjoyed Harp Academy. 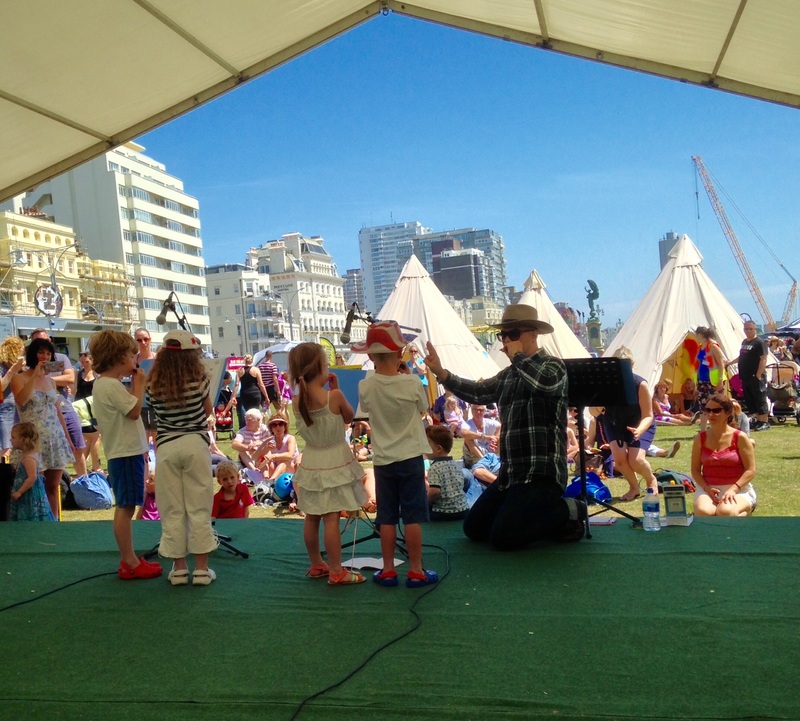 She especially loved the Paddle Round the Pier festival and regularly watches the videos of the performances. She may well return in the future. Your communications and website are excellent. Thank you, it’s a really well run club. Great day on Saturday. And I thought Isla was too shy to do a solo. She loved it! Isla and, following Saturday, her little sister, Esmeralda, would both like to do Harp Academy in September. Just wanted to tell you that Will came into Arunside last week and two children performed to the school. You could have heard a pin drop – the performance was stunning! It brought tears to my eyes. You are all doing a great job. Thank you. Just to say, Cooper put on a number of family performances over the Christmas period, with Little Donkey – it lifted his confidence and our relatives were delighted! Thank you, you run a very professional, child friendly group. My son enjoyed his taster session and would really like to carry on with the Harmonica. As a keen musician, I would like to add how pleased I am that he has taken an interest in a musical instrument; I love the way your songs and scales are tabbed! It’s so simple for kids to interpret, they get results fast which in turn gives them such a sense of achievement and encourages them to continue. Hats off to you! My daughter had a terrible night with a cold and she only went to school due her harmonica lesson today! 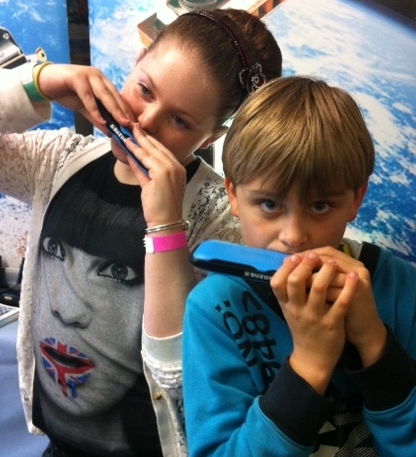 She had her first session with Will last week and she is really enjoying her introduction to using a harmonica. We have practised her homework for this week, which was Twinkle, Twinkle Little Star and logged onto the website to listen to the C Scale notes. I have been practicing too; what an enjoyable hobby this is! 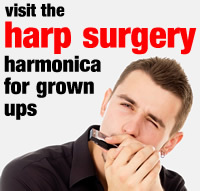 After spending all day working on a computer and talking to people, it has been a most relaxing experience – so much so, I’m going to get a harmonica myself. I would encourage people of all ages to give this hobby a try. It’s most enjoyable to hear a tune that you can smile about. I’m trying When The Saints Go Marching In! Richard was most helpful in discussing the various payment option and detail of my daughter’s taster session. He’s a most accommodating person who certainly has the people skills to manage anyone’s expectations. A superb start to a fascinating musical instrument. 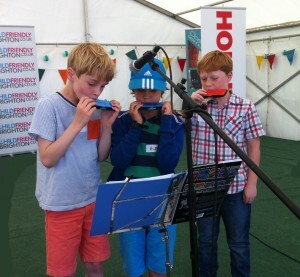 I must say that our son (attending lessons at Portslade Infants School) has really enjoyed learning the harmonica. This is one area of his whole education which he takes great pleasure in learning and seems to be doing really well. It has been very good for his self-confidence too, which we’re delighted about. Thanks for all you have done for our son, who is visually impaired, over the past three years – your gift of music helped him come out of himself and realise that he can create part of his own world through sound! 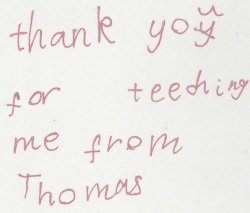 He has thoroughly enjoyed his sessions at Hertford Infants with you. Sammi has really enjoyed playing her harmonica. It made myself, my hubby and also my Dad (Sammi’s Grandpa) very proud when she played Twinkle Twinkle and Little Donkey to us! Thank you. Many thanks to Will for his great tuition again this year. Ned still loves his lessons and will be continuing in the Autumn. 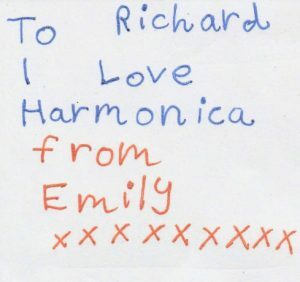 Aoife is really looking forward to continuing harmonica next term. 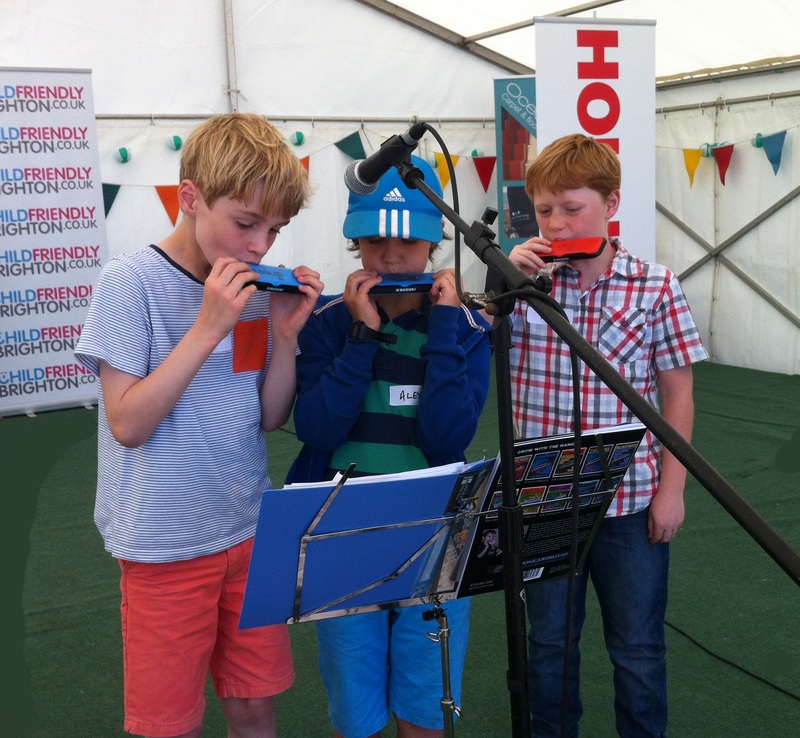 Please could you also send us information about the Harmonica Festival in Bristol? Thank you. 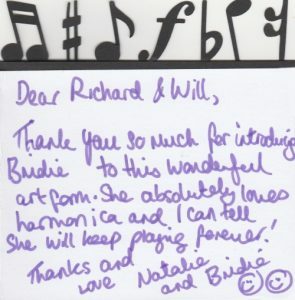 I just wanted to say thank you for the amazing work Will has done with Aliyah this term – she absolutely loves playing her harmonica. T’biah loves her lessons so please hold her place open. It’s been a great experience (4 years) and I just wanted to thank you for teaching Dylan some great tunes and encouraging him so well. Our daughter has enjoyed learning harmonica and is now wanting to start the Violin. Although she will be stopping Harp Academy at the end of this term, the harmonica has given her a great grounding in music. She has really enjoyed the lessons and has done some demonstrating at home too! Thank you to Will and Richard for all her tuition. The performance at Lindfield School this morning was brilliant! Kain is really enjoying learning the harmonica. Thank you very much for the brilliant organisation and care for our children.